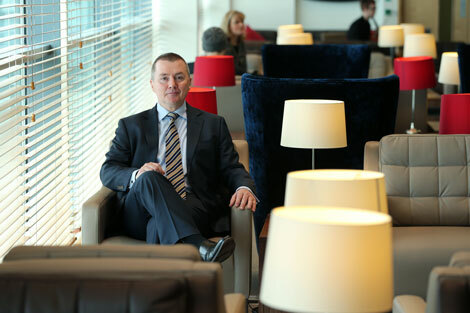 In February, BA unveiled its new lounge at George Best Belfast City (see news, February 24). 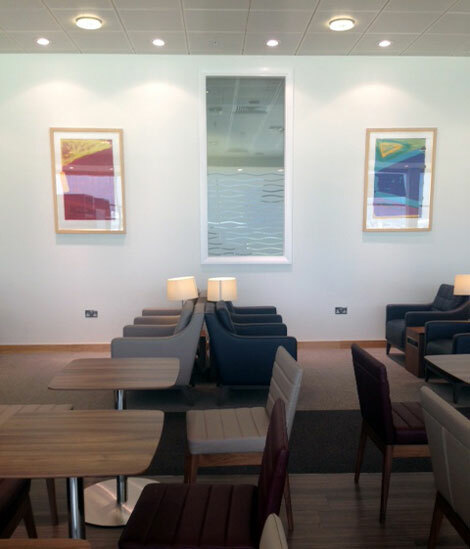 A £300,000 refurbishment of the former Bmi lounge at the airport, it’s located a couple of minutes walk to the left of security, by Door A – turn down by the Espressions coffee shop. A smart and airy space with airfield views through floor-to-ceiling windows, the lounge covers 285 sqm and seats 87 guests. A reception desk is straight ahead as you enter, and I was greeted warmly. There is a range of seating to choose from, including corner sofas, armchairs with side tables housing built-in UK/European power sockets and USB ports, dining tables and chairs, and some attractive velvet Alice chairs in deep blue. BA’s other signature colour, red, is used in cushions and a vibrant floral print on one wall. Other artworks include abstract prints and vintage posters for BEA and Imperial Airways flights. At the far end is a work area with a table, a bar/high chairs and built-in power sockets. Guests can send documents to a printer via their mobile devices. Wifi is free via a password. Flatscreen TVs show news and flight information (flights are not called). Bookshelves house a decent range of magazines and newspapers. The lounge does not have its own washrooms but there is access to communal ones just outside via a door inside the lounge. The facility offers guests direct access to the aircraft via an airbridge. Almost all of BA’s flights to London Heathrow (up to seven daily) depart from here. At the end of October, these flights will move from Heathrow T1 to T5. 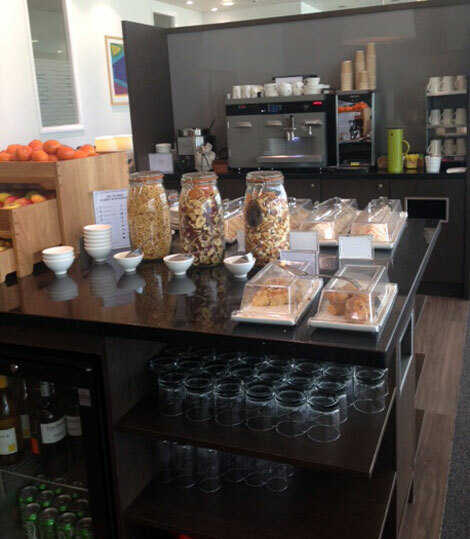 Food options change throughout the day, and there was a good selection on offer when I visited on a Sunday afternoon, including fresh and flavoursome sandwiches, minestrone soup, fruit, cheese, chutney and biscuits, cakes and muffins, Kettle Chips, pretzels and Taiwanese crackers. Staff refreshed what was on offer and were quick to come around and collect up glasses and crockery. Wines on offer included Byron Pinot Noir 2011 Santa Barbara, The Tin Mine Zevenwacht 2012 and Esser Chardonnay 2011 Monterey. There was also a decent range of spirits and soft drinks, a choice of Amstel, London Pride and Carlsberg beers, and tea and coffee. BA passengers with fully flexible tickets, Executive Club gold and silver members and Oneworld Emerald and Sapphire frequent flyers. 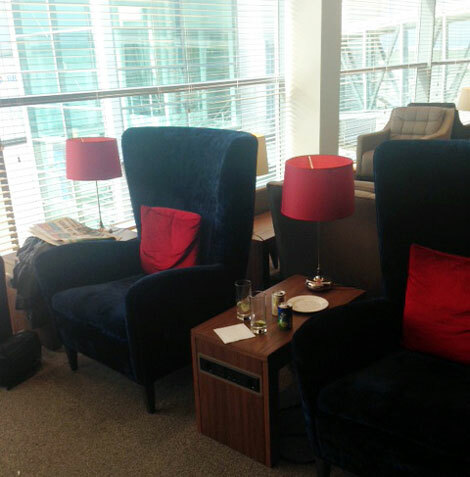 A very pleasant space to relax in before your flight, with stylish furnishings, a good food and drink offering and welcoming staff.